Related: Richard Smith on What is Digital Media? How Does the Master of Digital Media Program Help You Become a Producer of Digital Media Products? Organizations that build digital media products rely on multi-skilled teams and manage those teams with business processes designed to enhance their efficiency and effectiveness. 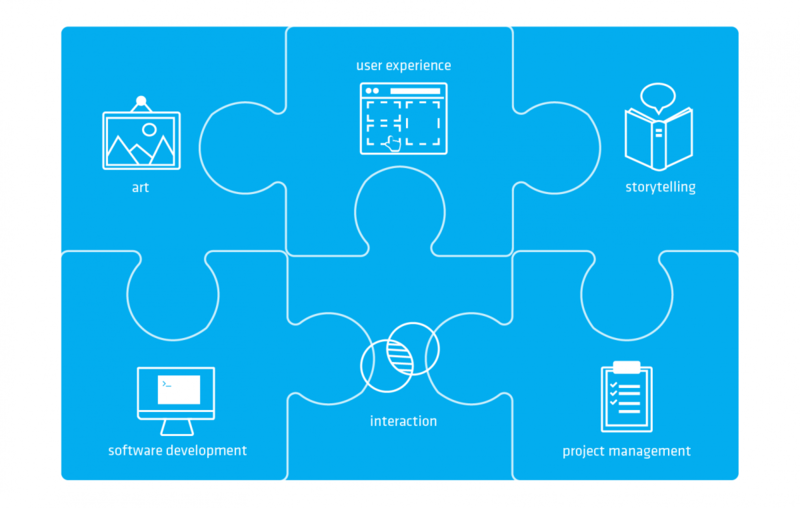 For example, making a game requires storytellers, programmers, artists, data analysts, user experience designers, project managers and animators. "Throwing things over the wall" between siloed groups of experts is not an effective way to manage things. You have to ensure that they understand each other, work together creatively, and collectively pull off a result that delivers a world-class experience. The skills required to manage these multi-skilled team members and the fast-paced nature of the industry means that digital media producers, like our graduates, have to have communication and collaboration skills as well as a depth and breadth of knowledge that is unprecedented. The Master of Digital Media program educates students on these two aspects – working in multi-skilled teams and engaging with a wide range of modern, creative business processes – while making digital media products that deliver value for people. The MDM program is designed to help graduates develop six core competencies that will serve them well in their careers. Students acquire these skills partly through classroom learning but mostly in experiential learning, working on multiple projects. Projects at the CDM run throughout the three semesters. These projects require students to collaborate with colleagues with different skill sets, and they also get to practise the business processes they learn. Projects in semesters two and three are industry projects for real-world clients looking for digital media solutions. The Master of Digital Media program caters well to students with an entrepreneurial vision. In addition to developing their business skills, they also hone their abilities to pitch, seek the right partners and investors, and manage resources. We offer pitched project and ‘venture internship’ options to help you create and launch a new business with a new digital media product.